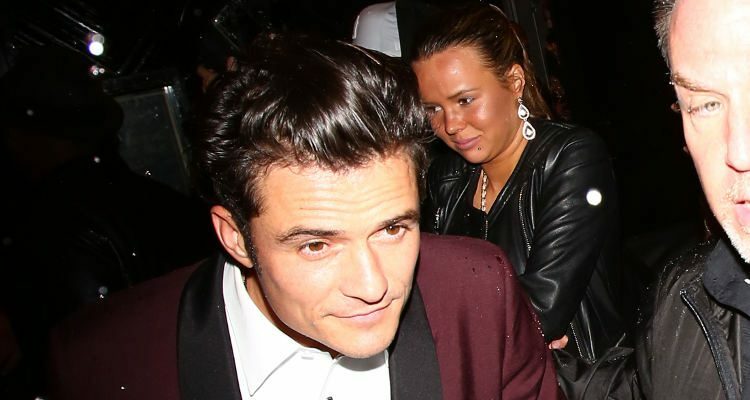 Orlando Bloom, aged 41 years old. The actor weighs 77 kg (170 pounds) and has a height of 5’11” (180 cm). His workout includes running, yoga and Pilates, which help him maintain a 43-14.5-33 inch body. To achieve his buff body, Bloom not only partakes in lifting weights. The actor also performs plenty of upper-body exercises alongside a personal trainer. All this effort completely shows in his films. In 2017, he’ll be back as Will Turner in Pirates of the Caribbean: Dead Men Tell No Tales. Best Known For: Playing Legolas in the The Lord of the Rings trilogy in 2001, 2002, and 2003, as Duke of Buckingham in the 2011 film The Three Musketeers, as Will Turner in the Pirates of the Caribbean film series. When Bloom picks up a weight, it tends to be pretty heavy and that likely leads to his bulging muscles and chiseled chest. Bloom has always had a hot bod as many of his past movies, such as Pirates of the Caribbean, required him to be quite the action man. The English heartthrob performs high-intensity workouts, which include running, stair climbing, along with yoga and Pilates, as a means of improving his strength and agility. Bloom follows a low-carb vegan diet and consumes five small meals a day as part of the 5-Factor diet. The diet consists of five meals a day that should include low GI (glycemic index) foods, protein, fiber, healthy fats, and sugar-free beverages. Furthermore, this diet allows you to have a have a cheat meal at the end of the week as long as you stick to it, which makes it pretty easy to follow in the long run. Bloom also knows the importance of staying well hydrated, and he is often pictured with a water bottle in hand. Additionally, Bloom is known to eat strictly certified organic foods along with avoiding alcohol. He also avoids dairy, animal foods, fatty foods, and buttery foods – which may seem impossible for many of us, but it has helped Bloom achieve his hot look. Orlando Bloom continues to be a sight to see and easily maintains his muscles with his intense workouts. Whether he is training for an upcoming movie or just living his everyday life, Bloom has adopted a healthy lifestyle that he sticks to on a regular basis.